I really like the look of this afghan! 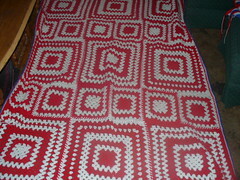 If I didn't hate joining so much I'd make this one of my christmas afghans! Round ripple for my baby girl ! !